So. My biggest race ever. 5,500 people, 100km and a time limit of 33 hours and the most fun I have had between the start and finish lines! This was a challenge, but surprisingly not as much as I expected. I had managed to get only 4 days off from work to return to the UK, complete the race and get back to Austria again before work started on Tuesday morning. 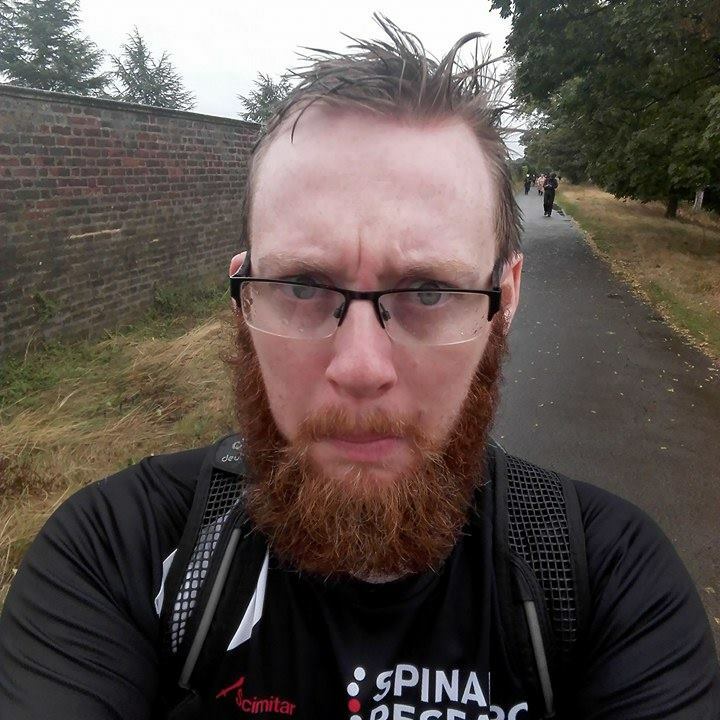 So, on the saturday morning 8.30am I was stood in Bishops park in London preparing myself physically and mentally for what would be the next 19 hours of moving. It was forecast to rain throughout the afternoon, at the start line though it was looking like it would hold off a little longer. Due to so many people taking part, the starting times were staggered over 4 hours, my starting block was the last one, 10am. The start area was like most races, areas to change stretch out, relax and fuel up before the start. The one thing I did like though was the fact that the had a bacon and sausage van at the start line and not just health foods! After the obligatory warm up with some over the top music we were off. The route would take us all the way along the river Thames from Putney Bridge to Henley upon Thames 100km away. 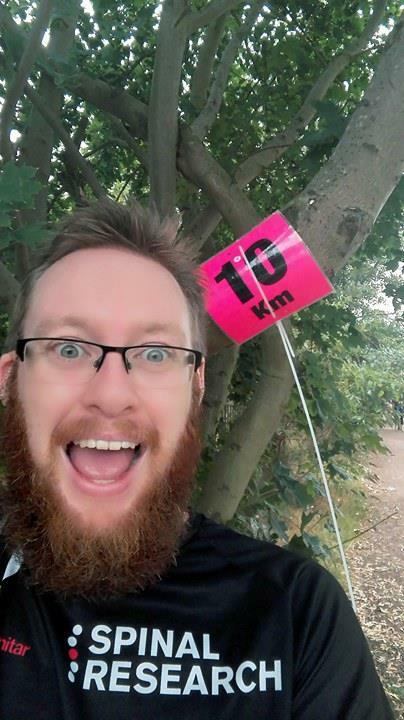 There were people there who were doing the 100k, 50km and 25km versions, walkers, joggers and runners. It was such a great mix of people all raising money for charity. 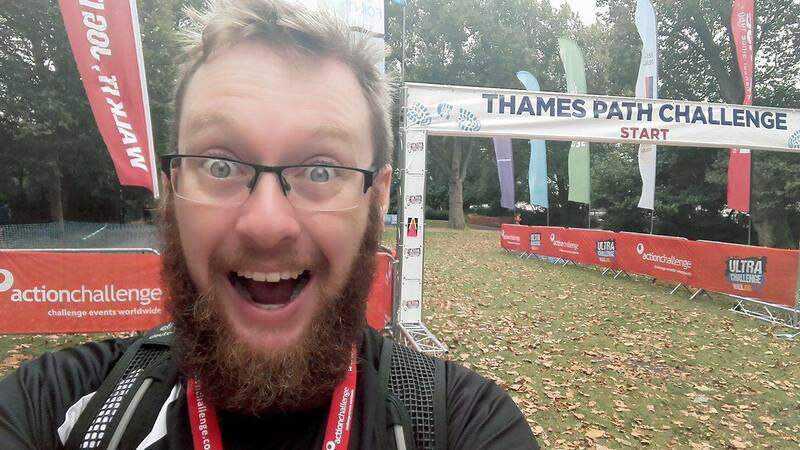 I am always full of energy for the first 30-40km so I was having the time of my life catching up all of the 6am walkers, cheering people up and generally being far too over excited about everything. I find that it is always good to do this as you end up meeting and talking to such a variety of different people. By the time I hit the first major rest stop I was still so pumped up about everything that I just ran straight through. Then after around 4 hours the rain arrived. I had been dreading this point, as after only 30 seconds I was already drenched through (although the one thing I was worried about getting wet, my shoes and feet, stayed totally dry, thanks HOKA!) After 5 minutes I gave up on trying to stay dry and just kept on running and splashing through the puddles. You always have to stay happy in moments like this. 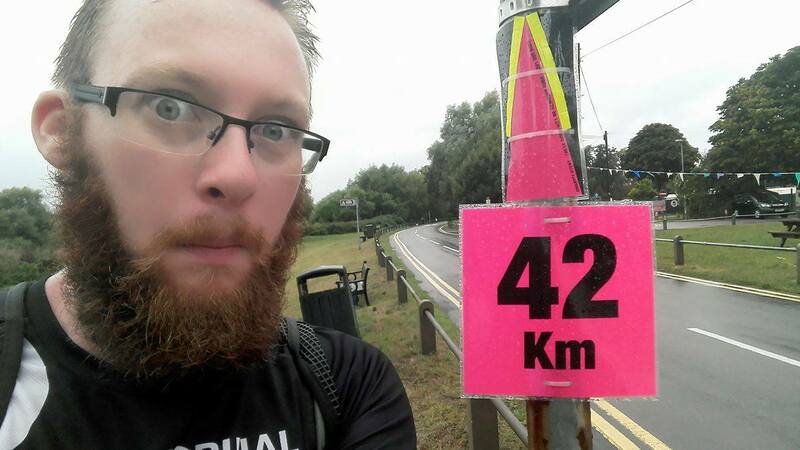 As I approached the 42km point the rain had eased off allowing me to get the obligatory selfie with the marathon point sign, before pushing onto the 50km halfway point. 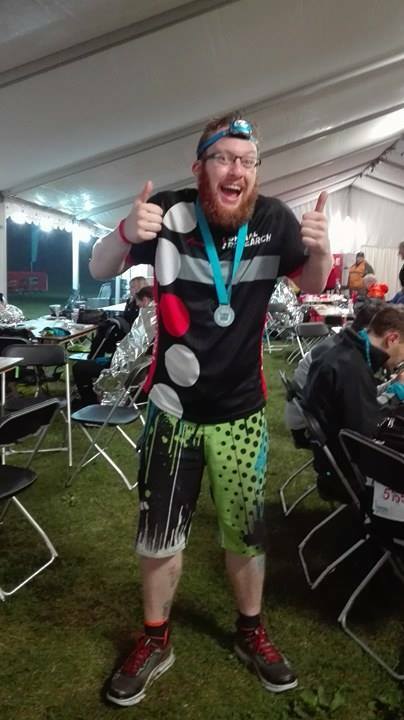 I have to say that by this point I was still feeling pretty amazing, especially when I thought back to my 50km ultra two years before and how dead I felt upon completion. The 50km aid station was a huge marquee filled with tables, chairs massage points and was also the first stop with a hot meal. How do I plan thins thing?! There was a fully stocked rest stop approximately every 14km with every second stop being a huge marquee with massages and hot food. I really with that I had taken photos of the aid stations as the truly were some of the best I have ever seen. Even the small ones had tables upon table of every type of food and snack you could imagine needing. along with hot and cold drinks, cuppa-soups and noodles. I kept on noticing that my predicted finish time was getting further and further away with every stop I made. #FatterThanWhenIStarted should have been treading that weekend! So now that the first 50km was over, I was all fed and ready to move off into the night, the real challenge began! Just before the halfway point I had met up with another 2 runners who I had somehow missed at my starting gate. 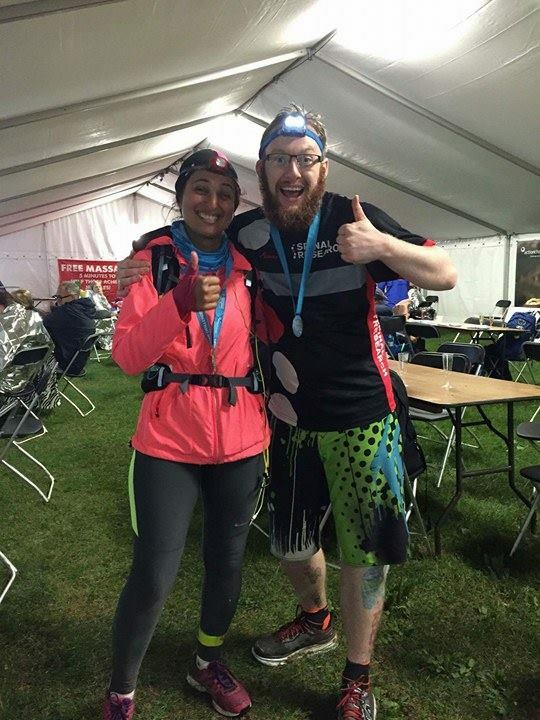 We decided to press on together through the night as we both knew that we would need the support and encouragement to finish. As the night fell the directions and signposts began to become scattered with glowsticks. There must have been thousands along the course, hanging from trees, posts, fences and gates, we also saw a few in some cow poops! There was only one point when we got lost, as we traveled through a very dark field we could not see the next markers as the fog began to roll it. All we could see was the eyes of the cows reflected from our head torches, not scary in the slightest! We lost one of our group of 3 at the 74km rest stop, he had been struggling for the last 10km and was adamant that this was his time to finish the race, a call that I would not want to have to make after such a distance! The last 26km was just me and Samira, it was getting cooler, wetter and the fog was coming in up to the point where you could only see a few meters ahead. It was tough but we powered through which the support of each other. After what seemed like hours of trecking through muddy fields whilst only being able to see the small circle of light from our head torches, we finally made it back onto tarmac marking the fact that we were coming to the end of our epic 19 hour journey. We had only seen 2 people in the last 4 hours so to see the lights of Henley in the distance was a sight which was much needed. 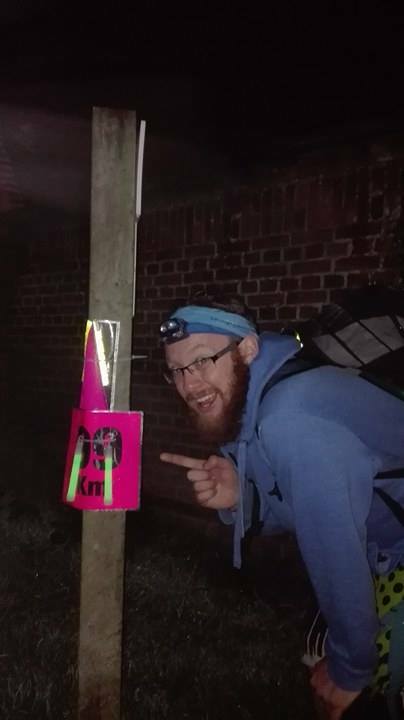 There were even 2 people standing at the 99km point to cheer us on at 3.30 in the morning! We finally made it to the finish line just before 4am, exhausted, muddy, yet ecstatic to have finished a race with a distance in 3 digits! After my much needed massage and sausage sandwich, i curled up under a pile of foil blankets and passed out until the 9am train. It was only once I boarded the train that I realised how far we had run, seeing as the train into London took 1 hour and 20 minutes! 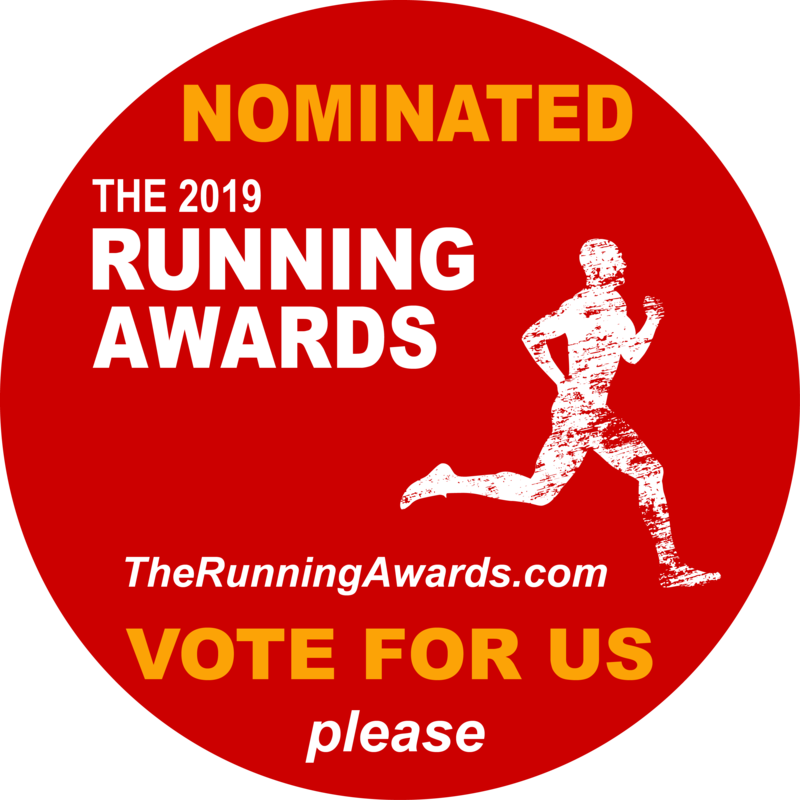 Overall it was an amazing race, organised and run so well that i am hoping they extend it to the whole of the Thames next year. Also a much needed thank you to Samira and Pete (/Paul? My mind got a little blurry towards the end!) Without you guys around to help motivate and encourage I think that I would have ended up asleep in a cow pat somewhere around the 85km mark! So all I need to do now is find a race longer than 100km!